Obesity, a term until recently was reserved for many older and extremely unhealthy individuals. This term however, is now applicable to the very roots of our country, our children. In a recent study conducted at Stanford University, it was found that nearly 1 in 5 of Americas youth are considered obese, 1in 5! That number is not only unbelievable, it is unacceptable. Playing outside has given way to playing x-box live. Lunch time now consist of a trip to Starbucks for a large frappuccino and a scone. The numbers do not lie! The youth of this country have become some it’s most unhealthy. On the other end of the spectrum, athletic kids are specializing in one sport at earlier and earlier ages. While there are some obvious benefits to this, there are also some disadvantages such as increase stress due to competition and improper development. According to the American Academy of Pediatrics, “Young athletes who specialize in just one sport may be denied the benefits of varied activity while facing additional physical, physiologic, and psychologically demands from intense training and competition”. The key to this statement is that the health benefits of a well planned and supervised program can help most children and adolescents when scaled according to age and ability. A well planned and administered youth exercise program will improve cardiovascular endurance, strength, flexibility, balance, coordination and increase bone mineral density. Increased self-esteem and a reduction in anxiety and stress have also been found to be affected from participation in an exercise program. Children and teens that are overweight or physically deficient are more likely to experience depression and anxiety in their adult life (Schmalz 2006). The effects of a sedentary lifestyle in both adolescents and teens will not only negatively effect them now, but throughout their lives. Physical activity for children and teens, is not only imperative in their lives currently, but also for success in their future. The physiological and psychological factors that are affected by poor health can cripple an individuals growth and development as an adult. 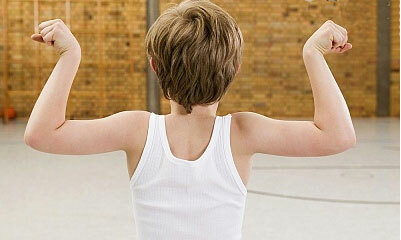 Something as simple as completion of a simple exercise like a push-up, can send a child’s self esteem through the roof. The joy of physical success for children is not only an amazing thing to witness, but goes so far for their own metal health. Programs that range from general fitness to sports specificity, can be tailored to fit those that participate and help them take their own fitness and future to new levels. The health of today’s youth is the key to the success of us all in the future.